Hi guys! Following the success of my very first HD Brows post, I thought I would post an update 3 months on. I recently went for my third HD Brows treatment and I'm still so happy with it that I just needed to share, along with the products I use to keep them in check. Above are before and after pictures from my recent treatment, and I just love the results, and definitely needed to share. It's so much more than a wax and a tint, and it takes a good 30 minutes to complete it. If you want to know more about what the treatment involves, read my previous HD Brows post. I find they tend to last around 4 weeks before I need to get them done again, although in the picture above, it had actually been nearly 2 months since I'd had them done - so longer than I would usually wait! If you're brows are sparse or fair like mine, I would definitely recommend getting these done as they really frame your face nicely and make doing my makeup in the morning that bit quicker. Or, if you just love that groomed brow look a la Desi Perkins then this will definitely help you get it! In terms of what I use to keep them in check, of course my Anastasia Beverley Hills Brow Wiz and Brow Pomade are my day to day products. 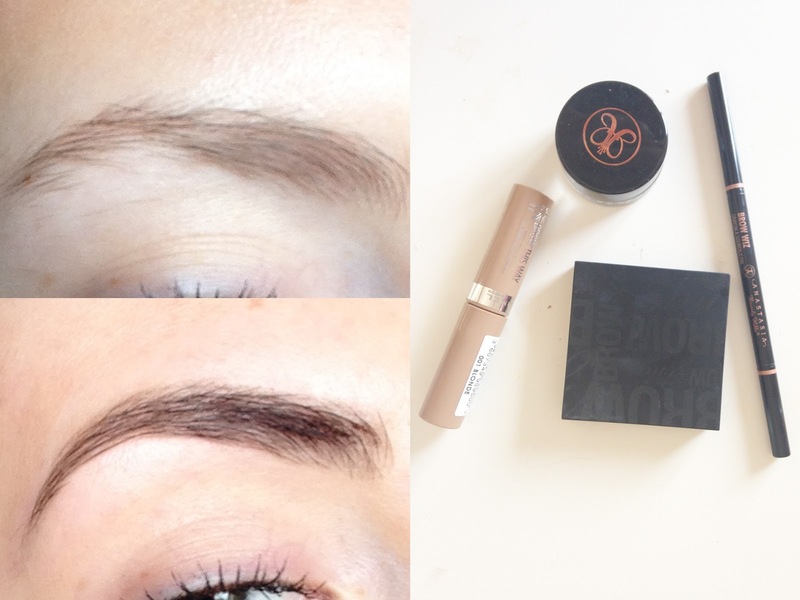 I've also been loving Rimmel's Brow This Way brow gel - review coming up tomorrow! And finally, I received Benefit's Brow Zings for Christmas and it's such a lovely set. A great alternative to Anastasia's products if you can't get them, and it's all in one set which makes it perfect for travel. What do you think of HD Brows? Let me know in the comments!